Microscope enhanced dentistry perfects the dental treatments you rely on -- from general dentistry to dazzling cosmetic services -- with extreme magnification. The dental practice replaces those binocular-like glasses you think of the dentist wearing (which are actually called “loupes”) using microscopic vision and fiber-optic light. With a simple turn of the knob, Dr. Cuomo can see your tooth, crown, dental implant, or that budding cavity up to 20 times clearer. Our care is built around the microscope. When you visit Gerard Cuomo Microscope Enhanced Dentistry for a checkup and cleaning, for example, you will benefit from proactive care with microscopic decay detection. It is easy to see cavities that have already developed -- but catching them right when they form is key to providing the most conservative treatment. By using a combination of digital x-rays, our high-powered microscopes, and specialized cavity-detection technology, Dr. Cuomo can find (and fix!) decay as soon as it forms. At Gerard Cuomo Microscope Enhanced Dentistry, all of our operatories are equipped with microscopes. From diagnosis to treatment, microscope enhanced dentistry is an integral part of every treatment plan. We are proud to be the only dental practice in Boca Raton that offers this advanced approach, and we invite you to experience the state-of-the-art difference. 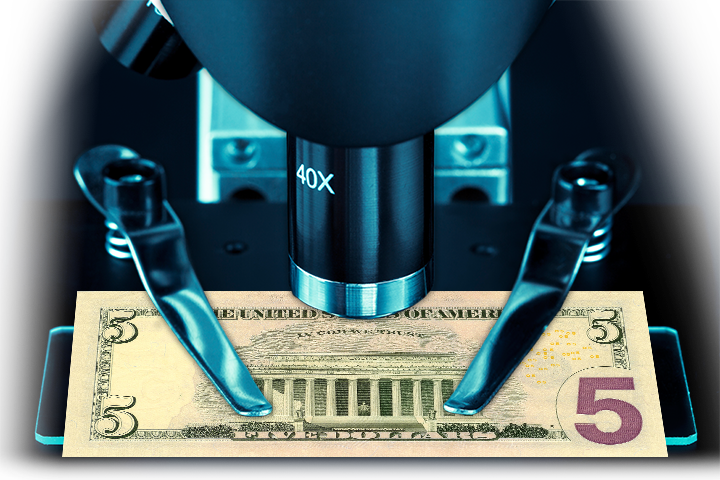 Alongside a commitment to precision diagnosis and treatment using microscopic technology, Gerard Cuomo Microscope Enhanced Dentistry is built on a strong foundation for aesthetic appreciation. Dr. Cuomo’s devotion to quality dentistry demonstrates a combination of both art and science, from crafting custom dental crowns and bridges to navigating the intricacies of a full-mouth reconstruction. 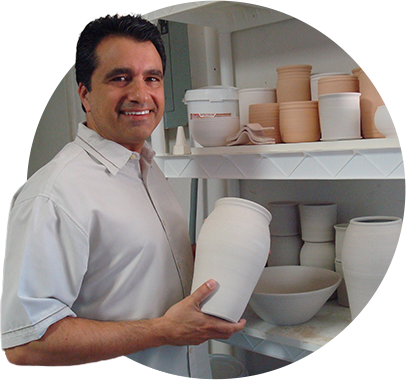 Dr. Cuomo understands the importance of using proper materials and the right techniques to achieve optimal resultsin his dental practice -- he is a master ceramist and potter with decades of experience, after all. It is the fusion of these two distinct strengths -- art and science -- that guide his methods in dentistry and offer patients truly unparalleled results. Gerard Cuomo Microscope Enhanced Dentistry offers a comprehensive list of services, all made better with the precision of microscopic vision. From the checkup and cleaning you and your loved ones rely on each six months to restorative care, cosmetic dentistry, periodontal therapy, dental implants, and more, families and individuals turn to Dr. Cuomo for the up close and personal attention their smiles need. Dr. Cuomo’s unique, state-of-the-art approach to dentistry, excellent qualifications, experience and education uniquely position him to navigate complex cases with an intricate approach. This expertise is why many patients come to our dental practice as a “rescue case,” either on their own, or as a referral from their dentist. Rescuing mechanically distressed dental implants, for example, requires a microscopic evaluation and specialized instruments. With a high success rate and excellent patient satisfaction in emergency cases, Gerard Cuomo Microscope Enhanced Dentistry is prepared for these and other treatments when you need them most. Although Dr. Cuomo can correct nearly every oral health complication, it is always better to avoid these situations by seeking a qualified professional from the start. At our office, we practice quality dentistry when it matters most… the first time. Click on one of the icons below to learn more about our featured services and discover what makes us different. 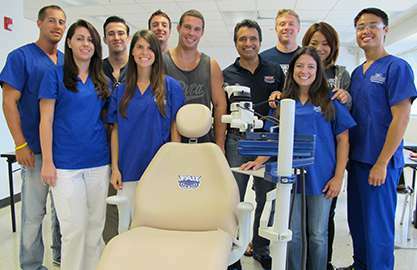 As the executive director of the Pre-Dental Mentorship Program at Florida Atlantic University, Dr. Cuomo is dedicated to educating tomorrow’s dental professionals in the latest techniques and technology.